Satan is sifting American Christianity as wheat just as Jesus warned Peter of Satan's desire. 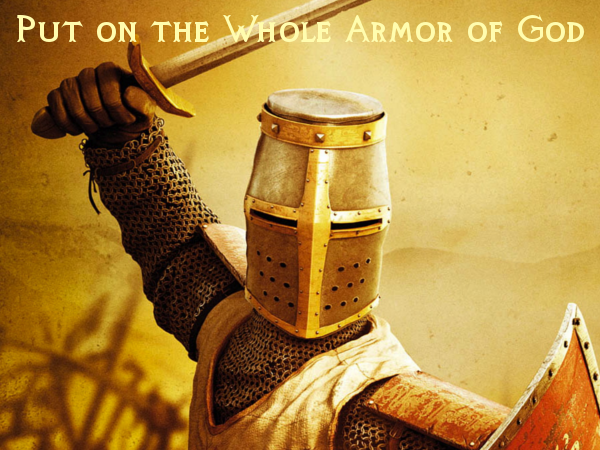 We live in a time of apostasy and defeat because we have failed to equip ourselves with the whole armor of God. In our latest podcast series, Pastor James Brown Jr. shows that every Christian has been called to engage in this battle. This battle manifests in individual hearts and minds, in the family, the Church and throughout all of civil society. This series is a call for Christians to be good soldiers of Jesus Christ and to be properly equipped in which to fight the good fight of faith. Find out what the weapons of our warfare and protective gear consists of so that we might take back ground lost over the last 100 years of spiritual delusion.